Tuberculosis (TB) is second only to HIV as the greatest killer worldwide due to a single infectious agent. 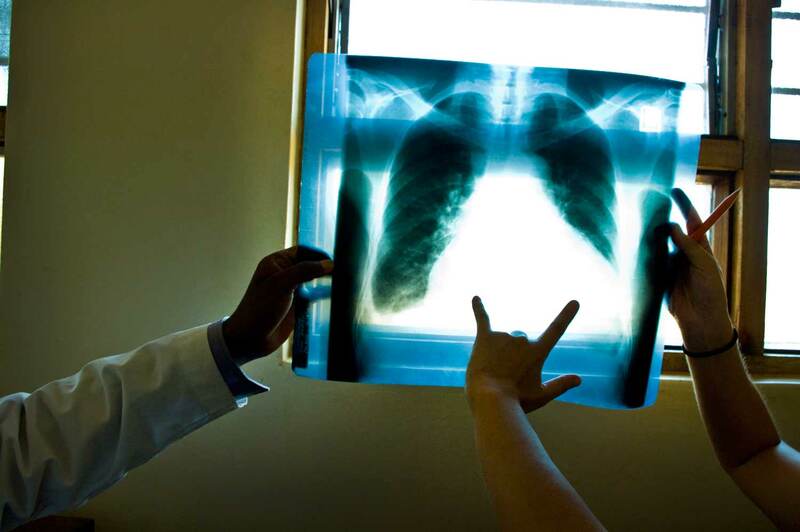 Without proper treatment, up to two-thirds of people who contract TB will die. Tuberculosis (TB) is caused by the bacteria Mycobacterium tuberculosis that most often affect the lungs. When people with active pulmonary TB cough, sneeze or spit, they propel TB germs into the air. A person needs to inhale only a few of these germs to become infected. Despite the fact that TB is curable and preventable, it is a leading killer of people with HIV and causes one quarter of all HIV-related deaths globally. TB disproportionately affects the poorest and most marginalized populations. Without proper treatment, up to two-thirds of people who contract TB will die. These staggering facts highlight the need to respond to this global health challenge. In Malawi, 60-70 percent of TB cases occur in patients whose immune systems are compromised by HIV. Dignitas runs an integrated TB-HIV clinic in Malawi’s Zomba District to provide one-stop treatment and care for co-infected patients. The clinic offers TB patients immediate access to HIV testing and counselling, which has resulted in more HIV+ people starting treatment. In 2014, the clinic achieved a 99% uptake of HIV treatment among co-infected patients. Integrating HIV and TB services saves time, resources and most importantly, lives. With support from the Izumi Foundation, we built a second integrated TB-HIV clinic in Malawi’s Machinga District in 2014. The new clinic was architecturally designed to handle TB services in a well-ventilated space. In addition, Dignitas supports service integration and infection control training for health care providers at six district hospitals in Malawi’s southeast region. By coordinating TB and HIV services, co-infected patients are getting diagnosed sooner and starting treatment earlier, increasing their chances for survival. Help us improve treatment and care for TB.